When a problem strikes with your water, you need a knowledgeable plumber fast. Here at Fast Direct, we know the inconvenience that a burst pipe or a shower leak can cause, which is why we are always on hand to resolve your plumbing emergency, day and night. With an enviable response time, our local plumbers can be at your home or business any time of day. When a problem strikes with your water, you need a knowledgeable and reliable plumber fast. So if you are based in Bristol or the surrounding area, we can help you today. We know that not every plumbing problem is the same, which is why we also provide planned plumbing work, including full kitchen and bathroom installations. Whether you need a plumber to repair your boiler, radiator or pipework, we can be at your property at a time that is convenient for you. Our customers’ satisfaction always comes first, which is why from the second your call is taken, our team is dedicated to providing you with a solution that is second to none. We know a burst pipe can be stressful, that's why we're here to help. Why choose Fast Direct Plumbers? Fast Direct Plumbers are a team of local, fully trained plumbing engineers who are committed to ensuring that you receive the best possible service. Our professional plumbers are based in Bristol and offer commercial and domestic plumbing services, day and night. 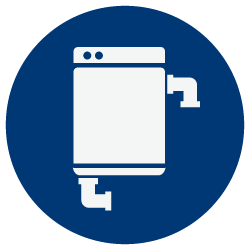 If you require a boiler service or an appliance to be installed by an expert you can trust, call Fast Direct today. 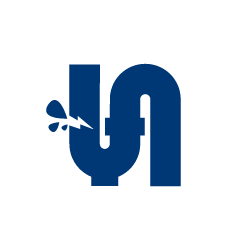 Bristol Plumbers understand that a burst pipe can be disastrous in terms of the damage it can cause to your home. When a burst or leaking pipe is found in your home or business, you need to act fast. That’s where our local Derby-based plumbing professionals come in. We will ensure that minimum damage is caused to your property, by providing a rapid emergency response so that your problem is treated fast. If the pipe underneath your sink is leaking, or you have discovered a burst pipe in your bathroom, one of our Derby experts will offer a quick and efficient solution, so your dilemma can soon be a thing of the past. Did you know that in order to ensure the heating in your home is safe and your boiler is working to its optimum level, your boiler should be serviced every year? 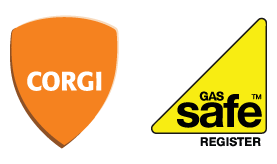 This annual procedure helps to identify if the boiler in your home or commercial property is safe, and if there are any repairs to be made early on, so that costs aren’t increased when the problem does further down the line. A boiler service entails checking all aspects of your boiler, in addition to making sure your boiler is burning the correct mix of gas and air. When your toilet or sink is blocked in your home, we know it can be frustrating. There are however, numerous causes of blocked toilets and sinks, from baby wipes to nappies. Our local engineers will be able to advise you what you can and can’t put down your toilet, whilst ensuring your problem is resolved quickly and safely. 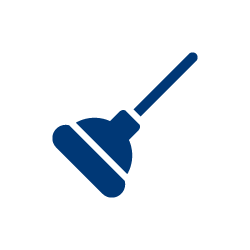 If your kitchen sink is blocked and you need a swift and safe solution, or your toilet is blocked and requires rapid treatment, call us today and let us help.